There haven't been and won't be too many weeks where I would have run more than 100 miles in a week so I wanted to make a note of this week when I ran 102.3 miles in 14hours and 24 minutes and 106.6 miles in a 7 day stretch! Total miles for October, 2018 = 366 or 82.7 miles/week. 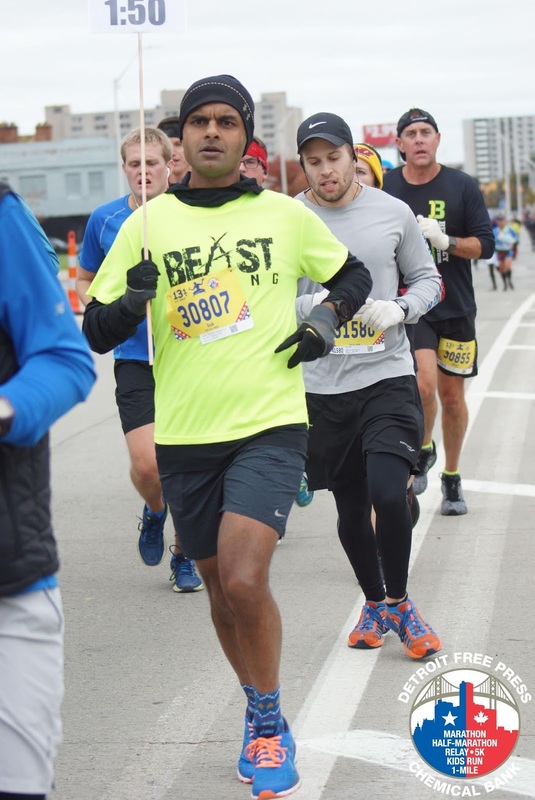 More positivity in the week after pacing at the Detroit Half. I’ve wanted to run the full for a while. 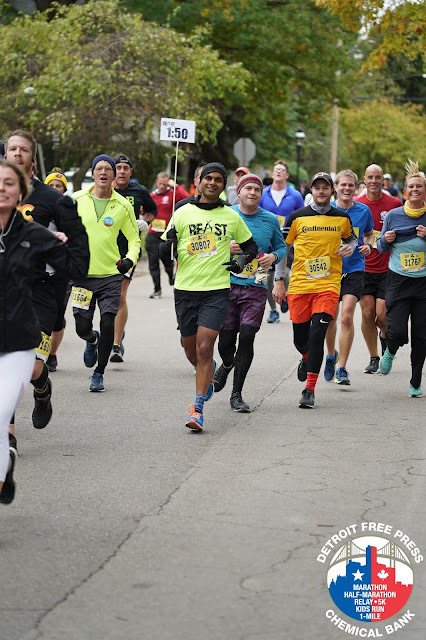 I wasn’t in shape to pace a full but took the opportunity to pace the half. I’ll be back for the full someday. It was a chilly (30F wind chill) and windy day. I felt good about this one because I had a solid pack of about 20 for the most part, and some through to the finish. Always feels good to make a difference to folks banking on you. Doesn’t hurt to hit your time to within 10 seconds!